Building materials manufacturer Aggregate Industries has successfully supplied walling, roofing, and flooring products to an exclusive new residential development in Charlbury, Oxfordshire. The ten luxurious five-bedroom houses at Ditchley Gate have been built by developer H Willis Ltd. The scheme is located in a thriving small Cotswold town in the Evenlode Valley. Each property has been individually designed to meet a high specification, with homes offering unique views onto the glorious Oxfordshire countryside. 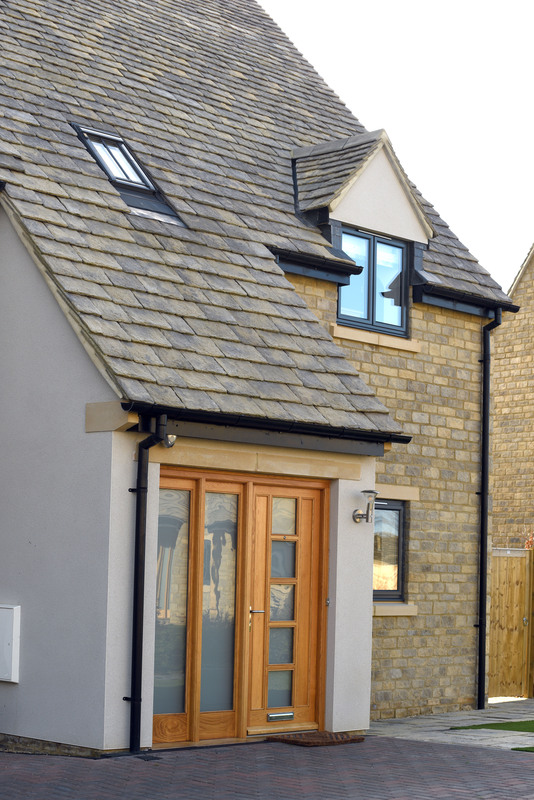 As Aggregate Industries manufactures a wide range of building products with a high aesthetic design, its products are ideal for residential developments in the picturesque Cotswold. The expert team supplied Bradstone Rough Dressed walling in ‘Southwold’ for the exterior walls. The unique walling is reminiscent of roughly-dressed quarried stone and, on this development, a unique design feature included the use of small jumper blocks as a corner detailing. 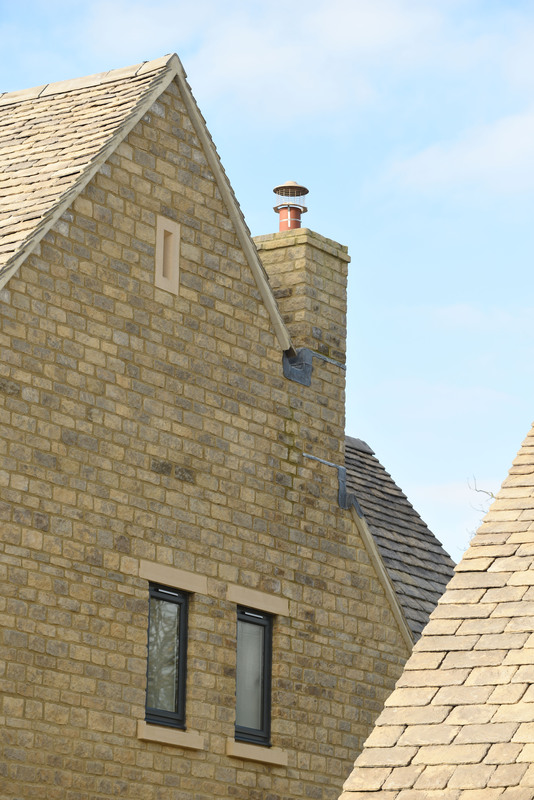 For the roofing, Bradstone ‘Cotswold’ tiles were specified, as they resemble indigenous Cotswold slate. The reconstructed stone roof tiles provided a viable alternative to natural stone slates, and were laid to a traditional diminishing course for an authentic visual. Aggregate Industries also supplied a range of structural products to the development, including concrete blocks for the external wall construction. Masterdenz features a 100mm thickness and a strength of 7.3N, providing a dense, robust, load bearing unit. For the flooring, on both the ground and first floor levels, the team provided bespoke Beam and Block flooring system, from Charcon Construction Solutions, the division of Aggregate Industries which offers off-site manufactured pre-cast concrete products. Composed of pre-stressed concrete beams, it is a practical option for creating hard wearing floors. It also achieves thermal insulation values when combined with appropriate finishes, as well as being naturally fire resistant. Jeremy Lee, Sales Director for Aggregate Industries’ Building Products division, comments: “This job demonstrated our capabilities perfectly, as we were able to offer a full solution to H Willis Ltd, providing concrete blocks, walling, flooring and roofing to the development. With many of our products manufactured in our large-scale facility in Ashton Keynes, Swindon, we were able to flexibly accommodate the delivery schedule, causing minimal disruption to local residents. “We’ve worked with H Willis Ltd for a number of years due to the fact our products provide an authentic, aesthetic appearance that complements the indigenous Cotswold natural area."